A fantastic album of funky soul – and Shorty's greatest album! Well, it's actually only one of two albums he cut – and the only one that was issued before his untimely early death – but it's a killer batch of tracks that mix together funk, Detroit soul, and a great sense of humor! 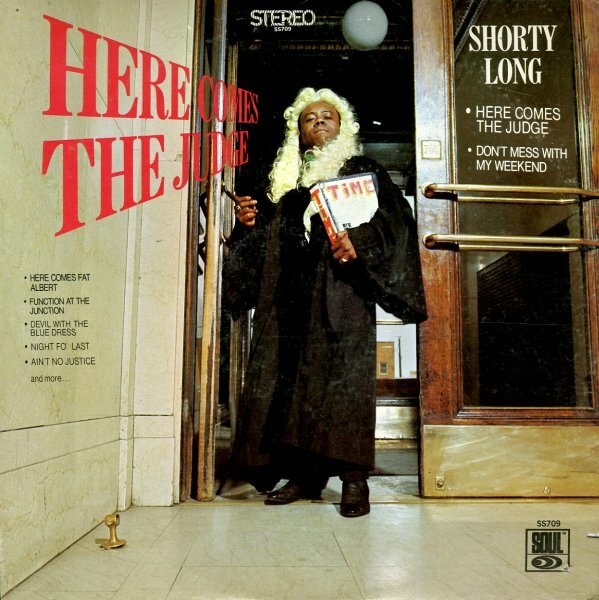 The album kicks off with Shorty's hit single "Here Comes The Judge", a funky musical version of the "judge" routine that had been knocking around the Chittlin Circuit comedy scene for years, particularly in the work of Pigmeat Markham. The album also features Shorty's legendary "soul party" cut, "Function At The Junction", plus lots of other tasty numbers like "Night Fo Last" (done in vocal and instrumental versions)", "Here Comes Fat Albert", "Stranded In the Jungle", "Don't Mess With My Weekend", "Ain't No Justice", and "Sing What You Wanna". Great stuff – and a pretty tough album to find! © 1996-2019, Dusty Groove, Inc.